Prom trends have come a long way in the past decade. Today, style options are vast and readily available thanks to social media. This, however, does not make finding the perfect look that showcases your personality or accentuates your good features any easier. The result of too much advice can lead you to overdo your prom look which can be the cause of an epic fail on the grandest of stages of them all; prom. We share important tips to help you avoid epic fashion fails as you shop for prom dresses, accessories, and an elegant hairdo. Different occasions demand different styles. What you wear to your sister’s wedding can be completely different to what passes as trendy at your high school prom. Do not be a slave to a particular fashion style that you think befits you. Shying from experimenting with different styles contributes mostly to having an uninspiring concept for your prom. Experimenting is a significant contributor to deciding whether a prom dress, hairstyle or accessory is best for you or if it is a fail. Avoid the last minute dash. Don’t procrastinate. Leaving enough time between receiving your prom dress and the night of your prom is a big plus. This ensures minor alterations if needed are accommodated. Many dresses, especially from overseas, are made with generic measurements. Realizing that your prom dress is not the perfect fit minutes or hours before the party can be disastrous. Your decision should not be final. Consulting your family or friends is one of the ways to avoid a fashion fail. Family members will offer a free and factual critique of the prom look you have chosen and provide suggestions on what they think you should change or add to it. Understanding your body shape makes purchasing the right prom dress much easier. Buying the right fit of prom dress has a huge influence on your final look. Avoid buying clothes depending on how they look on models in pictures. Base your choices on your body type and how the dress compliments it. One of the main challenges of shopping online is that the lengths of the dresses on most online boutiques are not indicated. Purchasing a dress without knowing its true length can set you up for an epic fail. Long prom dresses, for example, will drag on the floor if you are short. A hack to overcome this drawback is to always look for the height of the model. This is usually stated under the key features of the dress. Once you know her height, you can then check your height against it and estimate how the dress will fit your body. Keep your accessories to a minimum. Avoid hats, hair ornaments, and sparkly jewelry unless it does not distract attention from the main subject, you. Too many accessories could turn you into a walking carnivore. Choosing makeup and applying it correctly is essential while dressing up for prom. Too little is insufficient, and too much of it will have you looking like a clown something the online community will not let you forget in a long while. The perfect amount will go a long way in enhancing your overall look. 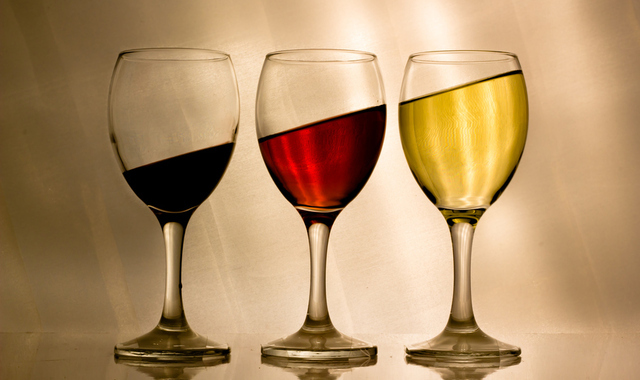 Wines without the calories or the morning-after feeling!